At last I’m getting to the posts about our cruise on the Royal Princess around the British Isles. We took taxis to Victoria Coach Station in London to pick up a bus to take us to Southampton. We weren’t the only ones. 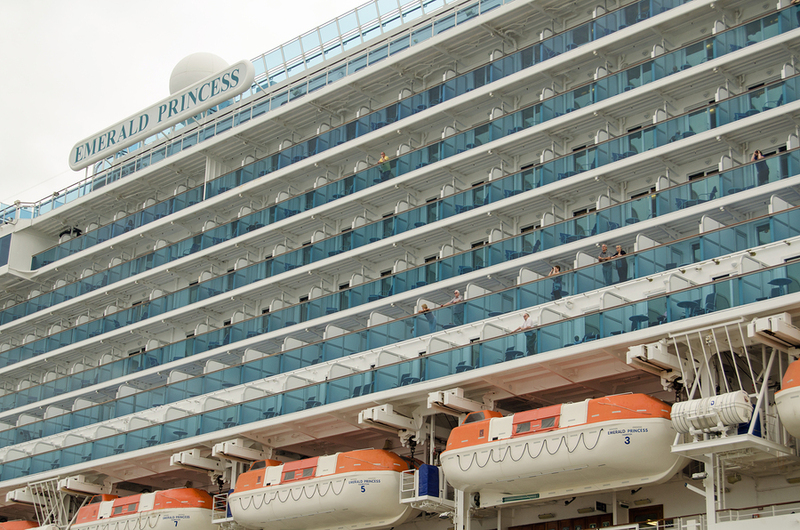 The area designated for the Princess Cruises passengers was mobbed, and the pile of luggage outside waiting to be loaded onto lorries was gargantuan. Wish I’d taken a picture of the rows of suitcases. Ah, well. After a couple of hours on the coach, we arrived at the Ocean Terminal in Southampton, one of Britain’s main ports. The Titanic sailed from here on its ill-fated maiden journey in 1912. The size of today’s cruise ships dwarfs the Titanic by quite a bit. Our ship holds nearly 4,000 passengers, while the Titanic accomodated 2,453 passengers plus hundreds of crew members, a very large ship for its time. The veranda outside our cabin. Linda and I were very pleased with our spacious cabin. It had lots of storage space, so we were able to unpack completely and stash all but one very large suitcase under the beds. The room had a refrigerator, hairdryer, and satellite TV with on demand movies. We watched several during the cruise–Cinderella, The Rewrite, The Woman in Gold and The Theory of Everything–as well as videos about our destinations and lectures about the various ports of call. Our cabin was so comfortable, we spent a lot of time there. We only made it down to the Princess Theater for one show and one port of call lecture. We spent a fair bit of time on the veranda enjoying the ocean air. The first photo taken on my new camera shows two happy cruisers. Two happy cruisers named Linda. I’m the one in blue. 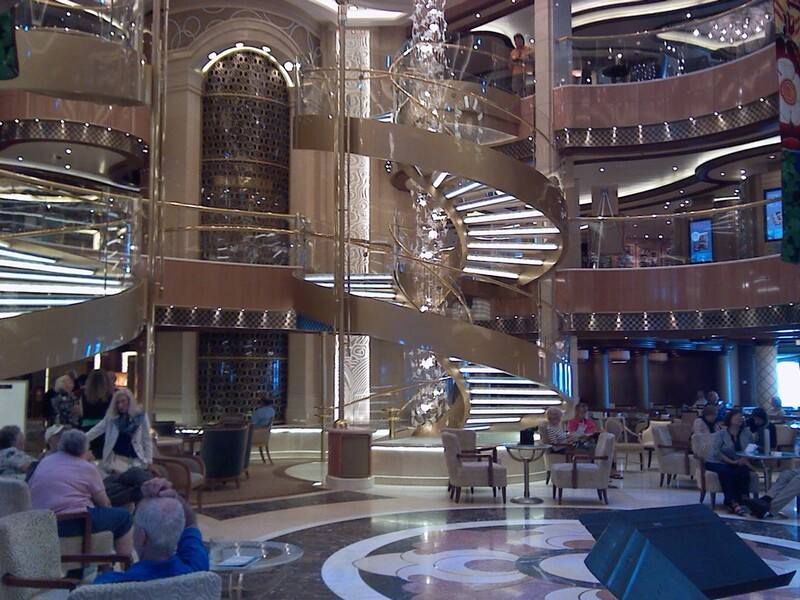 The center of the ship is a huge, beautiful, open atrium called the Piazza. There are a number of shops and lounges around the Piazza, and throughout the day there is usually something going on there, a class or some kind of entertainment. It’s also where they pour a champagne fountain on the night of the Captain’s Dinner. I love the spiral staircases. The Horizon Bistro Court, i.e. the buffet, is on the Lido deck, and that’s where we had most of our meals. The dessert bar was amazing, and the desserts were irresistible! I was a little hesitant to get on the scale when I got home, but happy to discover that I’d only gained two pounds on the trip. 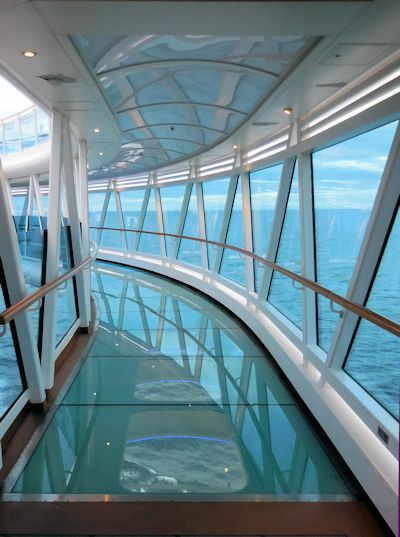 The Skywalk (right) is also on the Lido Deck, and walking across it is just a little disorienting as the ship is moving. Better not to look down, I think, to the rolling waves below. I only did that once. This was my first time cruising on such a large ship and I had a blast. I’d do it again. Have you taken a cruise? If so, where did you go? I’m looking for recommendations. Alaska, maybe? Or somewhere exotic like South America. This entry was posted in travel, Uncategorized and tagged cruising, Princes Cruises, Royal Princess, Southampton, Tuesday Travels by Linda / Lyndi. Bookmark the permalink. Looks like you had a wonderful time! I would love to cruise the British Isles…it would be so fantastic! It was a lot of fun! I’d do it again with different shore excursions. I’d love to see Alaska. My nieces and their husbands did this. They paid extra to have a balcony on the cruise part and were happy they did. On land, they visited a sled dog training business. I’d love to see Denali Park and its wildlife, too. I had an acquaintance at work who was determined to see the arctic circle on their Alaskan trip, but it was so cold and unpleasant while they were there, she decided if she died and hadn’t seen it that would be just fine with her. No regrets. 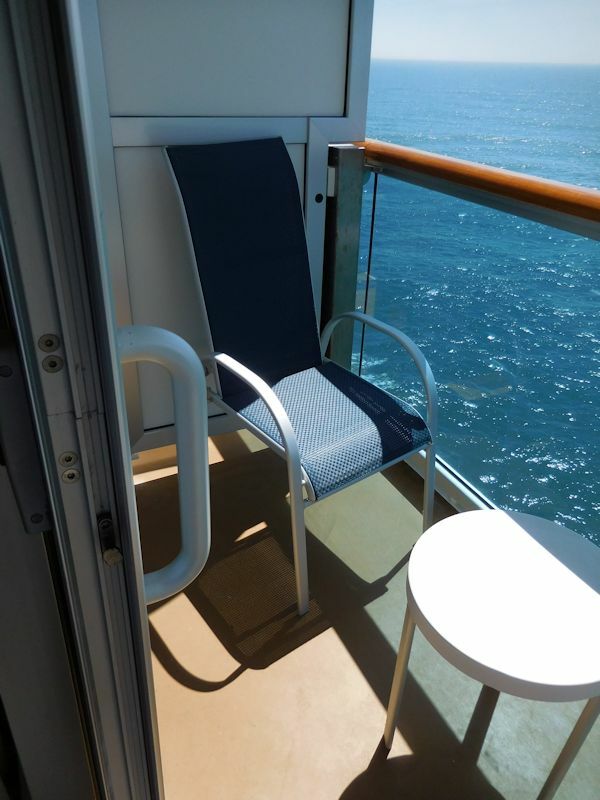 There are a lot of older people on cruises because it is an easier way to travel. I also like not having to be packing and unpacking all the time, though I wouldn’t refuse to do a land tour. I’ve heard good things about Trafalgar. I’d love to do the Alaska cruise, too. I went to Juneau once long ago for a few days, but that’s all I saw.